Since its debut in late September, Samsung's Galaxy Gear smart watch has sold 800,000 units —far more than the 50,000 originally claimed by an erroneous rumor [updated]. Update: Samsung has subsequently issued an announcement to reveal that it has sold 800,000 total units since the Galaxy Gear went on sale in late September. The official announcement dispels a rumor originally reported on. The initial, now-disputed report, remains below. Daily sales of the device to date are between 800 and 900 units, according to a story published Monday by BusinessKorea. According to the publication, those sales are "far below the initial expectations" market watchers had for the wearable device. The Galaxy Gear launched in September to a great deal of hype and fanfare from Samsung, including a series of television spots pushing its debut. Reports revealed that the South Korean electronics maker quickly scrambled to finish the product and push it to market, as the wearable computing space continues to heat up. 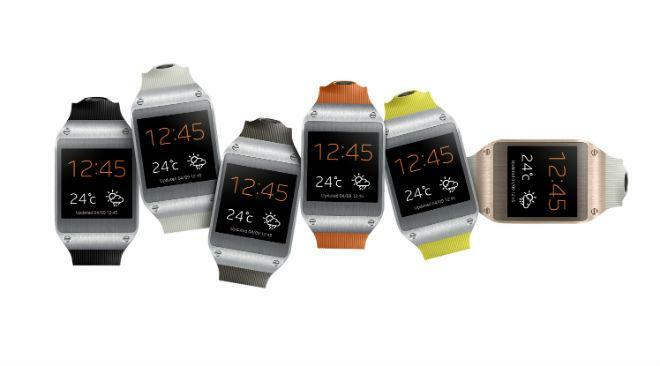 The Galaxy Gear was widely panned in reviews at launch, as critics cited a high $300 price tag, limited functionality and poor battery life as significant knocks against the wrist-worn accessory. The device was also initially limited to connectivity with the Galaxy Note 3 smartphone, but support for the Galaxy S3, S4 and Note 2 was eventually added. Earlier reports also indicated that resellers such as Best Buy were seeing exceptionally high return rates on the Galaxy Gear of up to 30 percent. That allegedly prompted concern among Samsung, who asked employees of its Best Buy-based Samsung Experience shops to ascertain reasons for the high incidence of dissatisfaction. Speculation has been mounting that Apple is planning to release its own so-called "iWatch" at some point in the next year. It's been claimed that such a device would focus on biometrics and health information feedback. In other Samsung supply news, a report from KoreaIT News published on Monday claimed that the company plans to ship 100 million tablets in 2014. The company's supply chain is reportedly gearing up for materials and parts to ship a massive number of tablets on the company's behalf next year.